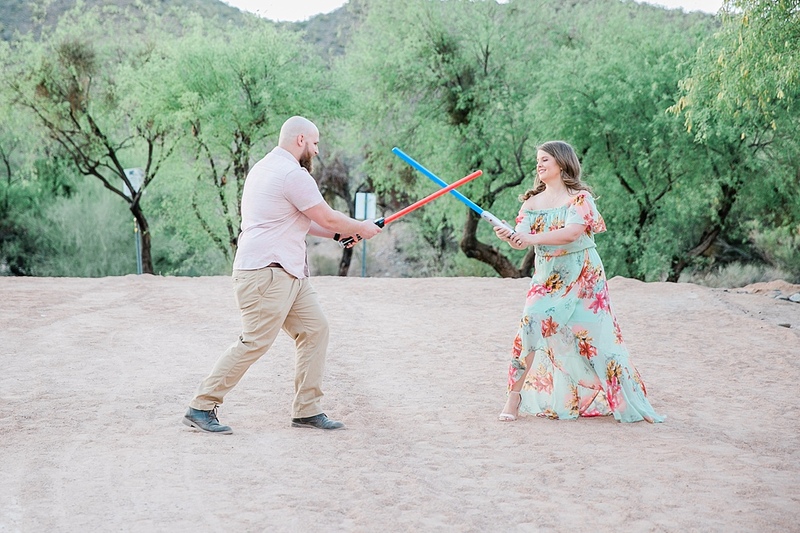 I was excited to find this answer the next day in my inbox “Yes we definitely want to do some lightsaber pictures! 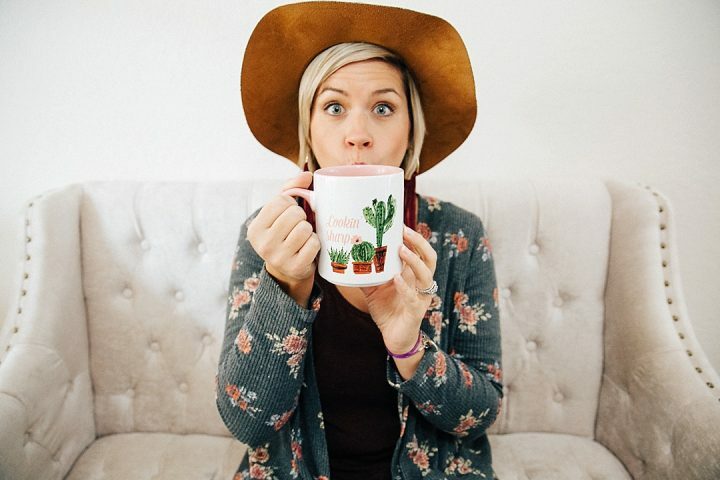 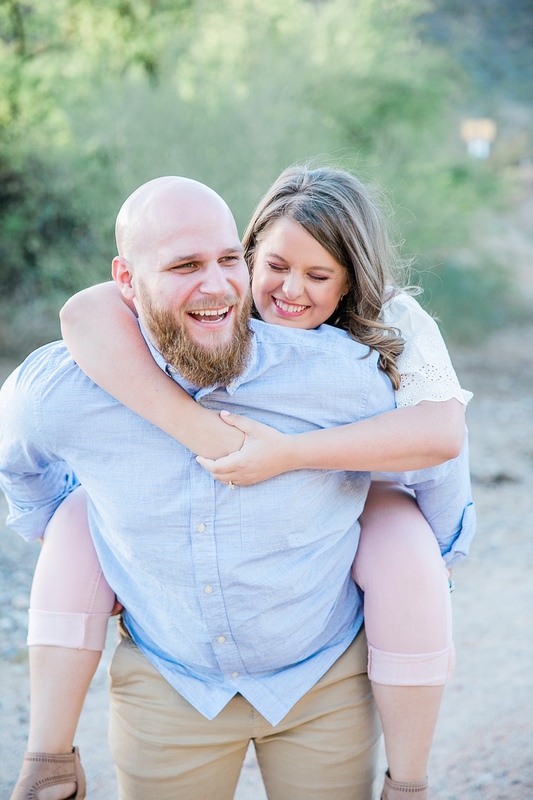 I feel like that will be so much fun and very ‘us’.” What I loved about this was their desire to tie in a unique prop that showcased something fun about them as a couple. 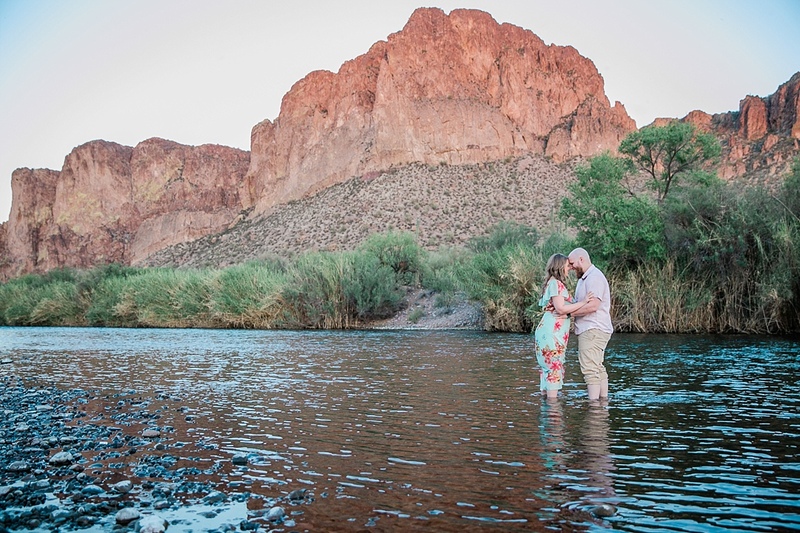 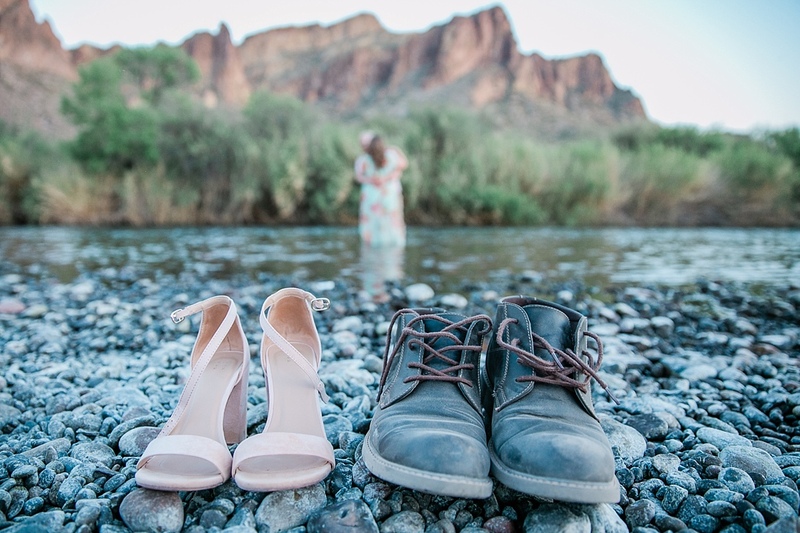 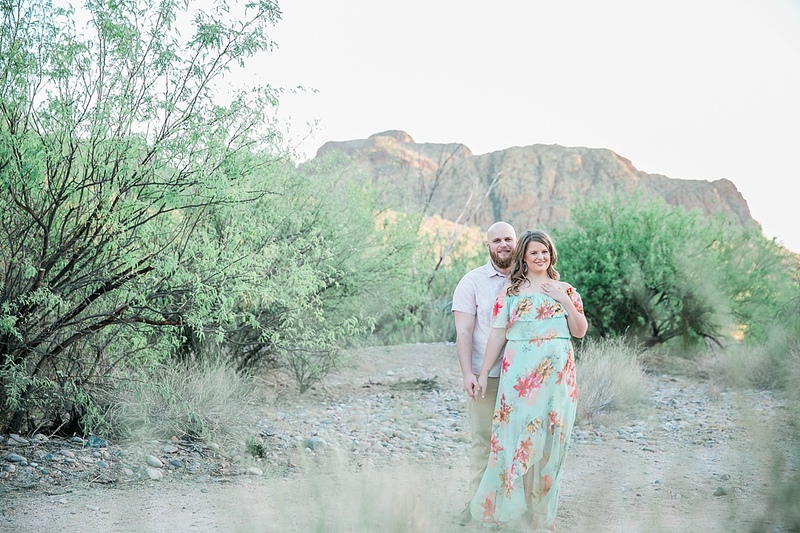 Lightsabers in hand we set off to capture the beginning of their love story at one of Arizona’s best outdoor locations for engagement photos: Salt River! 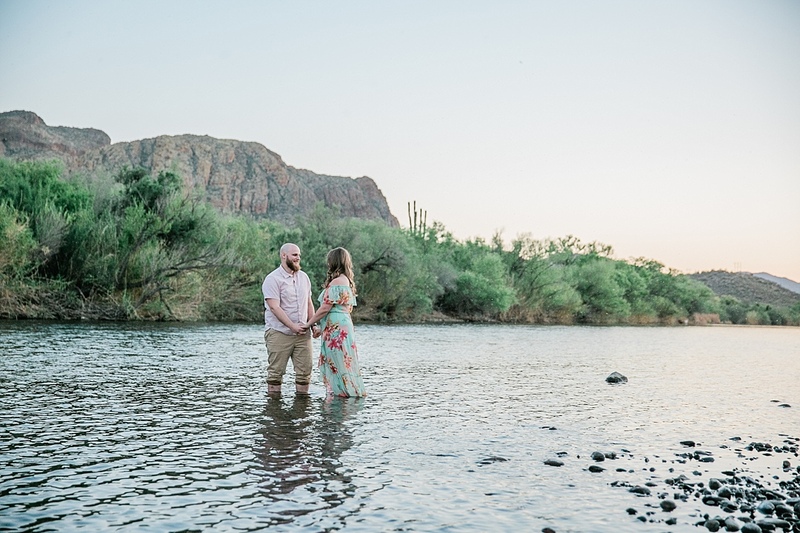 Salt River is fed by Saguaro Lake and the combination of the two make it one of our favorite locations to photograph here in Arizona. 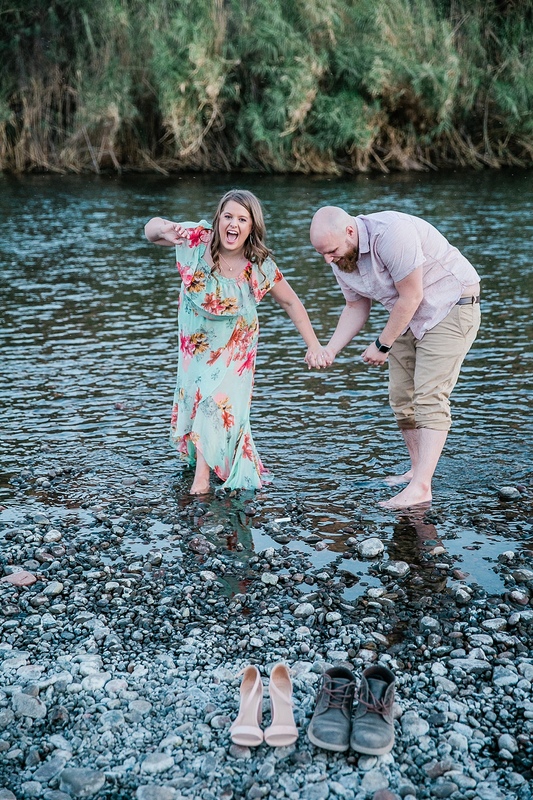 Let’s be honest there isn’t a TON of water in this state so the thought of even finding a little bit of natural running water is a novelty in itself. 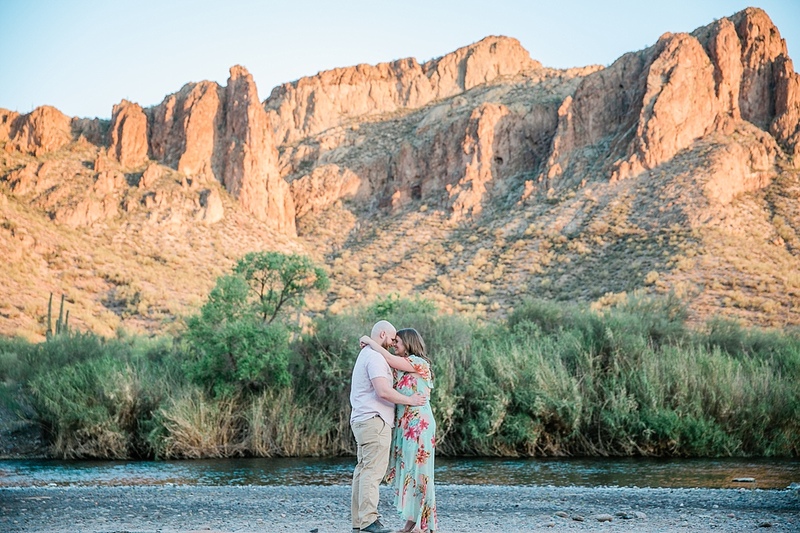 When combined with the mountainous back drop, green vegetation, and lightsabers you sure to have an opportunity at some pretty epic photos. 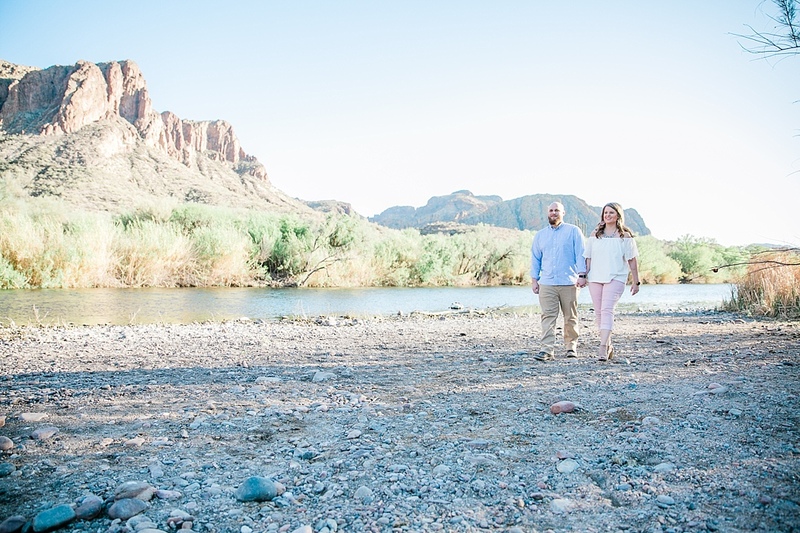 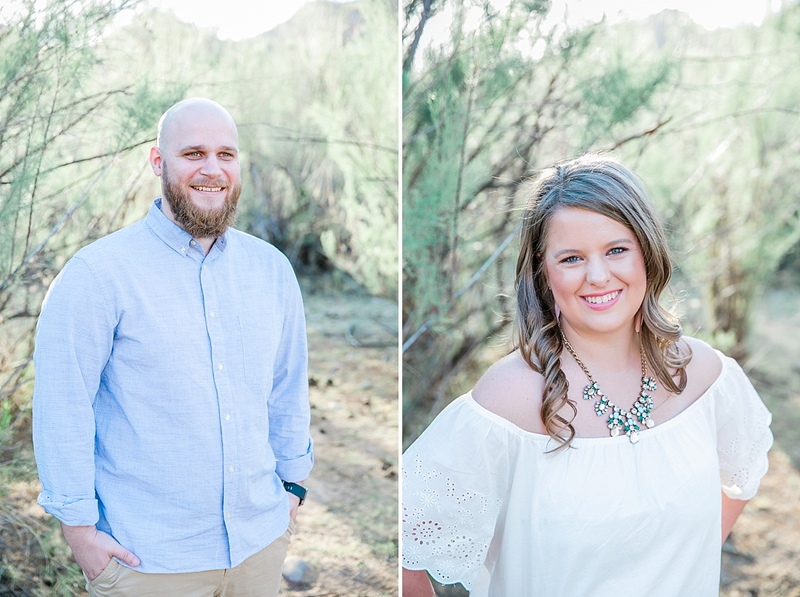 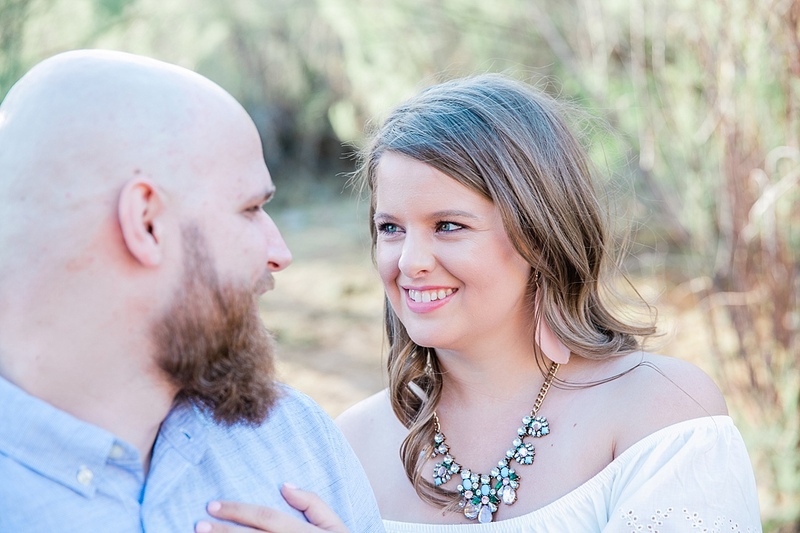 So without further ado here is Nick + Allison’s Salt River engagement session featuring light sabers, smiles, and everlasting memories!